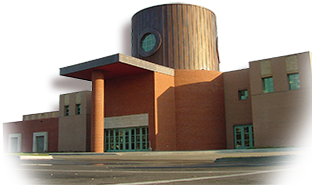 To be considered for employment at Topeka and Shawnee County Public Library, an official employment application must be completed. Applications are kept on file for 30 days. Application forms may be picked up at the library or by downloading online. Please check each job announcement for additional application requirements (e.g. cover letter, resume). Regardless of the application requirements, it is recommended that applicants include a cover letter and resume. Please review the job posting for the job closing date to assure timely arrival of the application. Mailed applications will be accepted if they are postmarked on or before the closing date. Application materials may be handed in at the Administrative Office on the second floor of the library (M-F, 9 a.m.-4:30 p.m.) or dropped off at the Customer Service Desk. Application materials may be faxed to (785) 580-4496. Application materials may be emailed to employ@tscpl.org. Please put the title of the position for which you are applying in the subject line. Please contact Human Resources at (785) 580-4492 or e-mail employ@tscpl.org.